A rickshaw puller at Oura Bund, Nagasaki. The Western-style building is the China & Japan Trading Company at No.4 Oura. Nippon Yusen Kaisha (NYK) would later occupy this location. This building was completed in 1890. 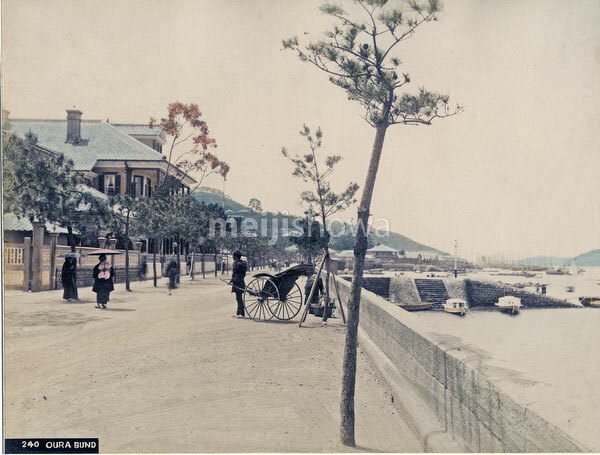 Electricity poles, still missing in this image, were installed in 1891 (Meiji 24), so this images dates to 1890, 1891.